HR team taking care of training and administration, Heads of Department, Line Managers and Supervisors. Employee training for human capital development is a significant investment and an important strategy for an organisation to maintain competitive in the business due to forces of changes in both internal and external factors. However, to prevent unnecessary wastage of resources and training budgets, a proper Training Needs Analysis (TNA) has to be conducted to identify real training gaps or non-training issues. Training Needs Analysis enables evaluation on the effectiveness of the training intervention and implementation. This practical and hands-on workshop enables you to create a ready training analysis format and mock-up training plan as a take back from the workshop. 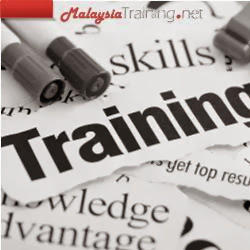 When to implement training and development?